Although valvular heart disease is still a frequently observed form of cardiac disease, in recent years its spectrum has changed dramatically. Rheumatic valvulitis was previously the most common form of valvular heart disease in the United States, but during the past two decades its incidence has declined steadily. While mitral valve disease due to rheumatic fever with associated aortic and tricuspid involvement is still seen in the United States, other forms of mitral valve disease and congenital disease of the aortic valve are being recognized more frequently. The reasons for these changes involve an absolute decline in the incidence of rheumatic fever and its sequelae and a new awareness and utilization of better diagnostic techniques in the recognition of those other forms of valvular heart disease that went more or less undiagnosed in the past. 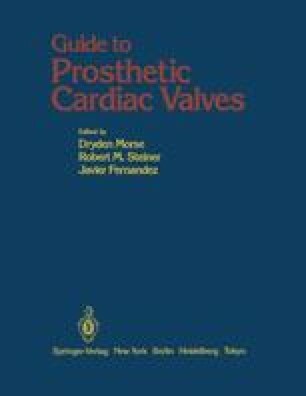 In this chapter, rheumatic valvular heart disease as well as a variety of more recently recognized forms of valvular disease will be discussed.